Description: The Long Beach Heron Cam is a live web cam which updates its images here every 45 seconds. This camera views the fountain and pond in front of Pacific Realty at the main downtown intersection of Long Beach, Washington (Bolstad & Pacific Hwy). When the natural fountain was created in 2000, the pond was stocked with a variety of goldfish. It didn’t take long for local Great Blue Herons to start gazing from the sky, working up the courage to drop down for an easy meal. The notably cautious and elegant birds soon began dropping in for a quick snack with some regularity. If you visit often you may see one of these regal birds swooping in for a fishy tidbit. Thanks to Pacific Realty for allowing us to showcase the Heron Cam on this site. Description: The Klipsan Beach Clam Cam is located at the beach approach at 225th and Highway 103/Pacific Way in Klipsan Beach. 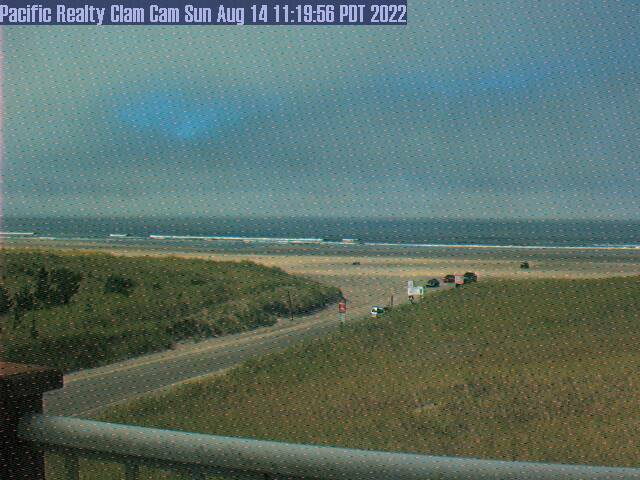 The webcam looks out over the Pacific Ocean, about midway on the Long Beach Peninsula. During razor clam season, you can see clammers digging along our beautiful beach. Klipsan Beach is historically known for the Klipsan Beach Life Saving Station. The station’s name was originally Ilwaco Beach and only later became known as Klipsan Station. The station was one of several assigned to protect the area known as the Graveyard of the Pacific, aptly named for its 2,000-plus shipwrecks. The Klipsan Beach Life Saving Station is now privately owned and can be rented. 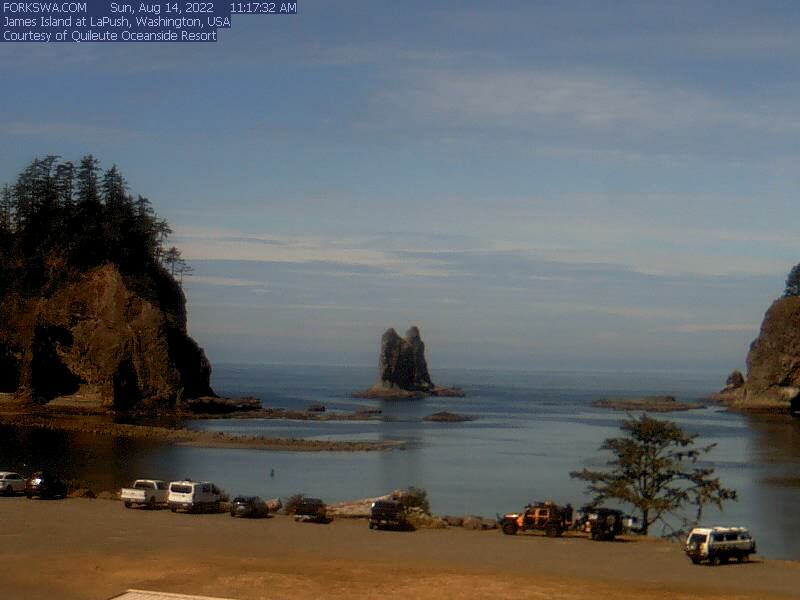 Other great places to stay in the vicinity are the Ocean Park Resort, Klipsan Beach Cottages, the DoveShire Bed and Breakfast, Shakti Cove Cottages, and Westgate Cabins & RV Park. Loomis Lake State Park is nearby. Jimella and Nanci’s Market Café, the renowned creation of Jimella Lucas and Nanci Main, matriarchs of Pacific Northwest locavore dining, is located within a few blocks of the webcam. Previously they owned the famed Ark Restaurant in Nahcotta, and their current endeavor is on the itinerary of anyone that seeks out fresh, locally sourced, expertly prepared cuisine. In addition to being a historically significant area for the Peninsula, Klipsan Beach holds a special place in the hearts of many. Countless families have created precious memories at the beach vacation rental homes, summer camps, RV parks, and summer cabins in the area. A big thank you to Pacific Realty for allowing us to showcase this webcam. 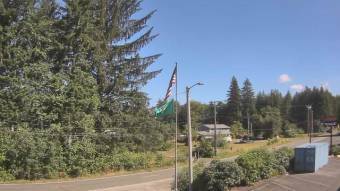 Description: The 642weather Cam is located on Sandridge Road in Long Beach, WA near Pioneer Road. 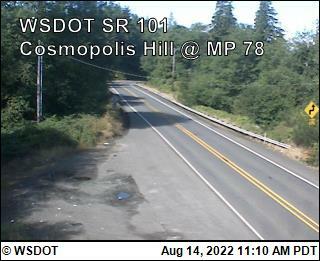 It looks E-NE toward the Willapa Hills and updates its image every 5 minutes. For a lot of great weather tools, time lapse and other images from this cam, visit 642weather.com. Thanks to the 642weather.com, owner/operators of the Weather Cam.